Happy April! Wishing you all a minimum of showers and a maximum of flowers. Here’s what I’m especially looking forward to in theaters this month. 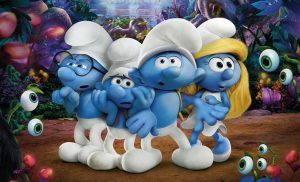 The smurfs are back where they belong — in a fully-animated feature set in their own magical world. Smurfette who was created by the evil wizard Gargamel but became a part of the otherwise all-male and all-named after one characteristic smurf community, wants to know who she is. And she discovers a whole village of female smurfs. It features the voices of Rainn Wilson, Jack McBrayer, Joe Manganiello, Demi Lovato, and Julia Roberts. Morgan Freeman, Michael Caine, and Alan Arkin star in a remake of the George Burns film about a retirees who rob a bank. Ann-Margret and Kenan Thompson also appear, and it was directed by Zach Braff (“Scrubs,” “Garden State”). Chris Evans and Jenny Slate star in the story of a man who cares for his intellectually advanced young niece, despite those who think she needs a different kind of environment. Those Fast and Furious rascals are back, still fast, still furious. This time it appears Dom has become a bad guy, but don’t you believe it. We know he’d never turn on his family. Charlie Hunnam and Robert Pattinson star in the real-life story of Englishman who explored South America, the man who inspired dozens of adventure sagas, including the Indiana Jones films. DisneyNature releases a nature film every year in honor of Earth Day. This one is sure to elicit “awwws.” It’s about pandas. Martin Scorsese produced this stylish and very violent story about illegal arms dealers, starring Oscar winner Brie Larson, Sharlto Copley, Jack Reynor, and Armie Hammer. It was 100 years ago, but it is more relevant than ever. The story of the Armenian genocide (the event that gave rise to that term and the need to have such a term) provides the background for a story of love and loss starring Christian Bale, Oscar Isaac, and Charlotte LeBon, directed by “Hotel Rwanda’s” Terry George. Tom Hanks, Emma Watson, and John Boyega star in a story that could not be more timely — about a company that knows everything about you and just wants to help…or does it? Happy March! Here’s what I’m most looking forward to this month. Before I Fall — Zoey Deutch plays a high school girl who lives the same day over and over until she learns to pay attention to what is going on around her. Table 19 — Anna Kendrick stars in a romantic comedy about the people assigned to the worst table at a wedding. The Shack — The Christian best-seller is now a film about a father devastated by grief who gets as message from God. Logan — Hugh Jackman returns as Wolverine in a dark and violent story. Kong: Skull Island — An all-star cast goes off in search of a giant ape. The Sense of an Ending — Jim Broadbent, Michelle Dockery, Harriet Walter, and Charlotte Rampling give performances of elegance and grace in this touching story based on the award-winning best-seller by Julian Barnes. Beauty And The Beast — The tale as old as time returns to the screen in this live action version with Emma Watson and Dan Stevens. CHiPS — This raunchy comedy embraces and celebrates the unabashedly cheesy 70’s television series. Writer/director Dax Shepard stars with Michael Pena. Saban’s Power Rangers — The cartoon series comes to the big screen with a live-action reboot. The Zookeeper’s Wife — Jessica Chastain stars in this real-life story of Warsaw zookeepers who saved people and animals during the Holocaust. The Ghost In The Shell — A cyborg policewoman attempts to bring down a nefarious computer hacker in this sci-fi story based on a manga. The Boss Baby — Alec Baldwin plays a talking baby with a briefcase in this animated fantasy. “The Comedian” Robert De Niro plays a stand-up comic struggling with personal and professional challenges. “The Space Between Us” Asa Butterfield and Britt Robertson star in a love story about an ordinary teenager and the boy she loves, who was born to an astronaut mother and has just come to earth for the first time. “The LEGO Batman Movie” The folks from “The LEGO Movie” are back with a spin-off and I full expect that everything in it will be awesome! “Fifty Shades Darker” The saga of the B&D power couple continues. “John Wick 2” Keanu Reeves returns as the hired killer who can’t stay retired. “Fist Fight” Charlie Day plays a teacher who is not at all prepared to stand up to Ice Cube, who has promised to beat him up. “The Great Wall” This grand historical fantasy epic has Matt Damon leading an army of mercenaries in ancient China. “A Cure For Wellness” An ambitious young executive (Dane DeHaan) is sent to retrieve his company’s CEO from an idyllic but mysterious “wellness center” at a remote location in the Swiss Alps but soon suspects that the spa’s miraculous treatments are not what they seem. “A United Kingdom” David Oyelowo and Rosamund Pike star in the true story of an African prince who married a commoner from London in the 1940’s, creating family and geopolitical controversy. “Get Out” Audiences at Sundance loved this terrifying new horror film written by Jordan Peele. “Rock Dog” All-star voice talent including Luke Wilson, JK Simmons, Lewis Black, Matt Dillon, and Kenan Thompson are featured in this second animated story in three months about singing animals. Happy new year! Happy January! Here’s what’s coming to theaters this month, with a little bit about what else we’ll be seeing in 2017. Andrew Garfield and Adam Driver star in Martin Scorsese’s epic about faith and culture in 17th century Japan. Liam Neeson won the DC film critics first-ever award for a voice performance for the title role in this story of a boy coming to terms with his mother’s terminal illness. Ben Affleck wrote and directed this film about 1930’s gangsters, co-starring Elle Fanning. Mark Wahlberg stars in the story of the Boston Marathon terrorist attack and the hunt for the bombers. Set in the late 1970’s, this story of women trying to find their place stars Annette Bening, Greta Gerwig, and Elle Fanning and is loosely based on the memories of writer/director Mike Mills (“Beginners”). They are trucks and they are also monsters. What else do you need to know? Ray Kroc was a milkshake machine salesman who wanted to know why the McDonald brothers’ hamburger stand was buying so many of his products. He ended up joining the company and making McDonald’s into the most successful fast food operation in the world. Michael Keaton stars as Kroc, with Laura Dern as his wife. Well, Vin Diesel has to have something to do between “Fast and Furious” movies, right? Matthew McConaughey stars in the story of a literal gold-digger, inspired by the rise and fall of John Felderhof. Just try to watch the trailer without tearing up. Just try. Justice League, Power Rangers, Guardians of the Galaxy 2, Star Wars VIII, Kong: Skull Island, John Wick 2, Despicable Me 3, Cars 3, The Dark Tower, World War Z 2, Valerian and the City of a Thousand Planets, The Fate of the Furious, Table 19, Coco, and, best of all, the movies that we don’t expect to fall in love with that change our lives. Previous PostPrevious Start 2017 with Creativity! “Trolls” You already love the Justin Timberlake song that ruled radio all summer. You probably already love those adorably ugly little dolls with the puffs of hair. The movie is as cute as a rainbow unicorn cupcake. “Doctor Strange” The Marvel superhero, a master of magic, arrives on screen, starring Benedict Cumberbatch, Tilda Swinton, Mads Mikkelsen, and Rachel McAdams. “Hacksaw Ridge” Mel Gibson’s first film as a director in a decade is the true story of Desmond Doss (Andrew Garfield), a deeply religious man who served as a medic in one of the bloodiest battles of WWII and single-handedly rescued 75 men. “Loving” Ruth Nagga and Joel Edgerton star in the true story of the couple from Virginia who showed the world what their name, Loving, really meant. Arrested for violating Virginia’s laws prohibiting marriage between people of different races, they took their case to the US Supreme Court. “Arrival” When aliens arrive, what kind of experts do you go to for help? 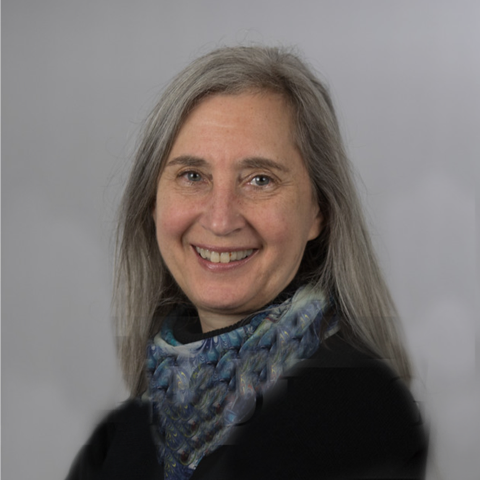 In this thoughtful, complex story, it is a linguist played by Amy Adams who is called in to try to find out who they are and what their intentions are. “Billy Linn’s Long Halftime Walk” Ben Fountain’s acclaimed novel about an Iraqi war American soldier on a “victory tour” through the US has been brought to the screen by Ang Lee, with a revolutionary new process that produces images of stunning focus and clarity. “Fantastic Beasts and Where to Find Them” It’s tough to decide which is more exciting — J.K. Rowling’s first screenplay, the first Harry Potter universe story to be set in the past, the first set in the U.S., knowing that there are four more movies ahead featuring these characters, or just the chance to go back into the Potterverse. 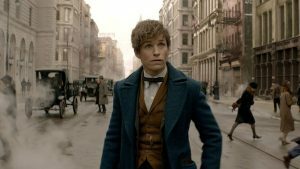 Oh, and it stars Eddie Redmayne, too. “Manchester by the Sea” This festival favorite from writer/director Kenneth Lonergan (“You Can Count on Me”) stars Casey Affleck as a loner suddenly appointed guardian of his late brother’s teenage son. The story takes its time, slowly letting the audience get to know the characters and their history and become deeply engaged in its spacious humanity. 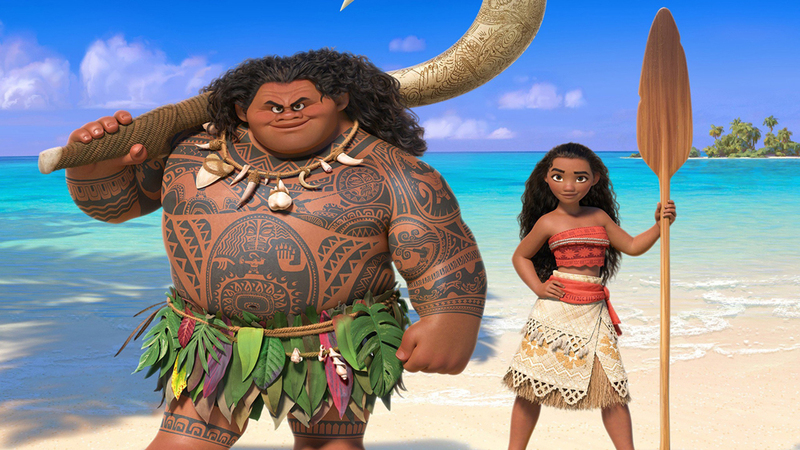 “Moana” Disney’s first Polynesian heroine must save her tribe with the help of a legendary demigod (Dwayne Johnson) and songs from “Hamilton’s” Lin-Manuel Miranda. “Lion” Bring a couple of handkerchiefs for this true story about an adopted man searching for his biological family, starring Dev Patel and Nicole Kidman.